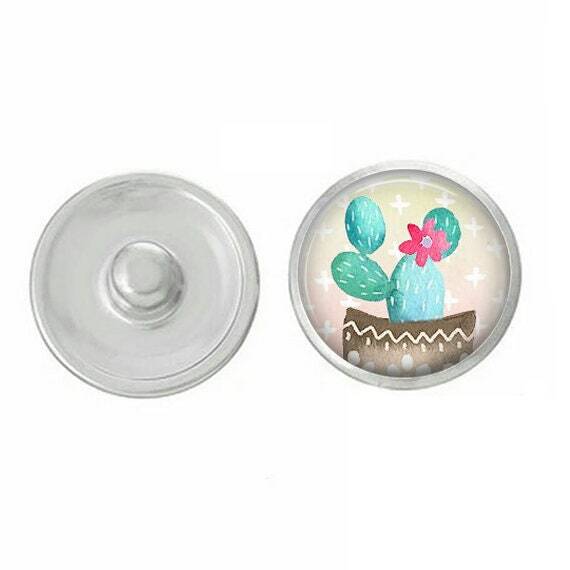 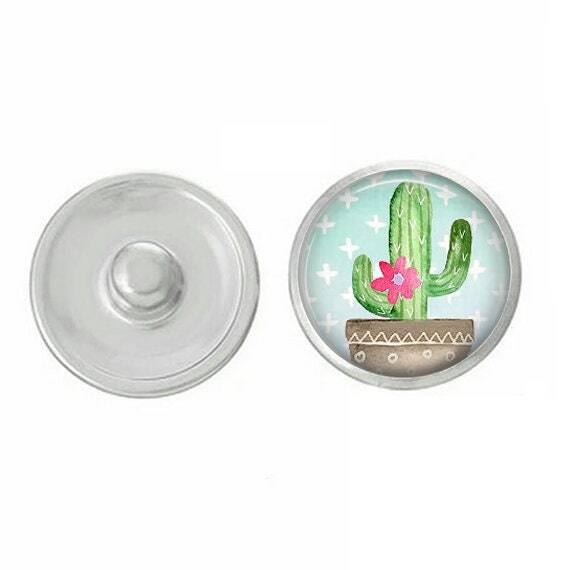 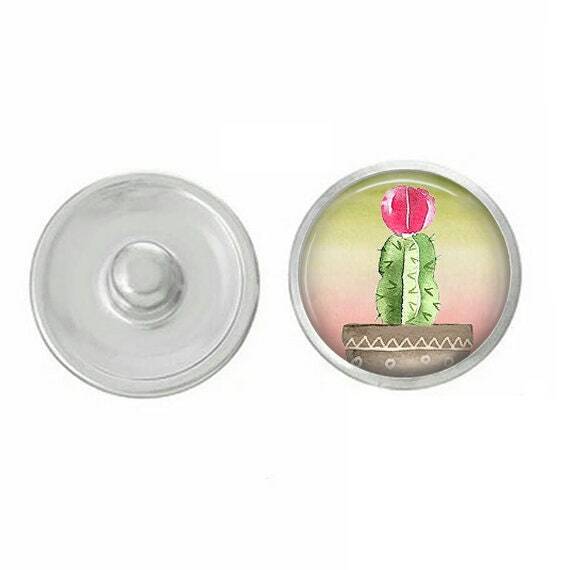 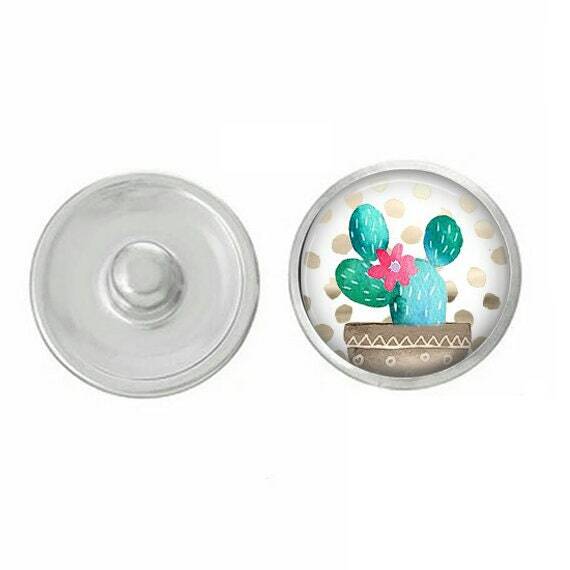 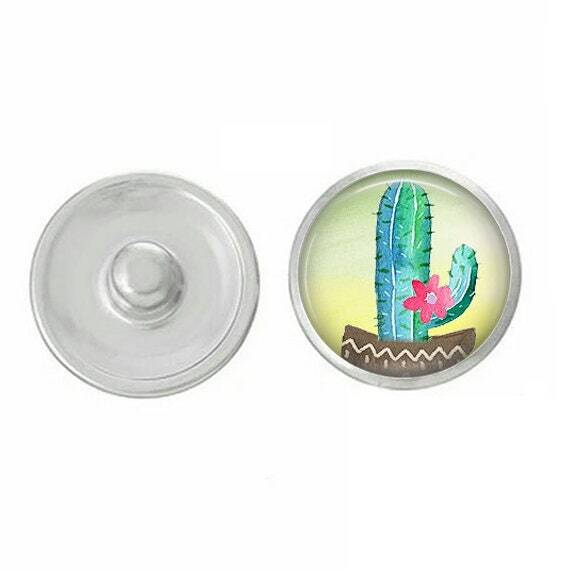 Cactus themed hand-pressed snaps. Fun, trendy snaps to customize all of your snap jewelry and accessories! Snaps base pieces work with other snap jewelry bases such as gingers snaps, magnolia and vine and other 18-20mm snap jewelry.